As Pak Suzuki is the No.1 manufacturer and marketer of Brand new local assembled and imported Suzuki vehicles; we strive to enhance motorization by providing good quality; affordable certified used cars to customers as well. Keeping up with its tradition of making its authorized dealerships as an innovative One Window Solution providers to meet the diversified needs of all customers; Pak Suzuki introduced Certified Used Car Program and exchange program in 2011. The main idea behind launching the program is to enable people who fall short of affording brand new cars , by provide them an opportunity to buy good quality and reasonably priced used cars which are certified by Pak Suzuki Engineers along with a warranty. Further; exchange program is designed keeping in mind that customer can come to Pak Suzuki dealership; get the value of his car evaluated and if mutually agreed can upgrade to brand new car or new model certified used cars; by just paying the difference and Upgrade his lifestyle! Suzuki certified used car and Exchange facility is available at most of authorized Pak Suzuki dealerships nationwide. However; to reach nation-wide customers and providing choice to customers under one roof; Pak Suzuki came up with the idea of Suzuki certified used cars events; started in Feb 2012. Pak Suzuki arranges Used Car GALA events quarterly/bi-annually in Karachi, Lahore, Rawalpindi, and Multan which has revolutionized the used car buying experience in Pakistan. In gala events, a large number of certified used cars bought /in exchange by our authorized dealerships; backed up by Pak Suzuki Certification and Warranty are sold to customers. 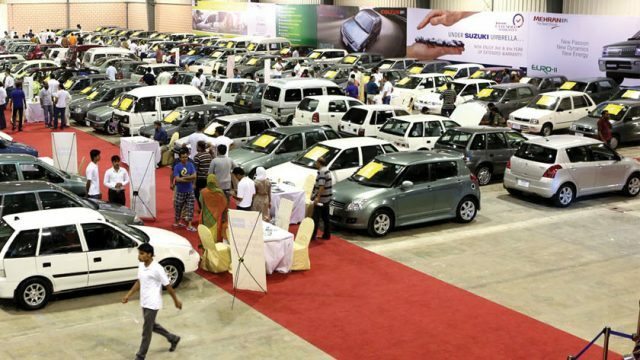 In last Gala held on April 2, 2017, at Expo Center Karachi; out of 186 certified used cars; 136 cars were sold on-spot in one day, which is a testament to the fact that Suzuki certified used cars are quality vehicles and customers truly trust and have confidence in Suzuki certified used cars. In 2016, in 3 events held in Karachi expo center; 100+ units were sold; respectively in each event. Al hum do lillah; we continuously research the reason for this huge customers’ confidence resulting in mega successful event; and based on our research results ; we see that following factors have contributed in Suzuki Used Car Gala’s huge success. Pak Suzuki Used car Warranty ( i.e up to 6 months / driven up to 7,500 km) for Models 3 to 5 years old and ii. up to 1 year / driven up to 15,000 kms) for models upto 2 years old models. All certified used cars are evaluated by dealership trained personnel and then checked by Pak Suzuki engineers. 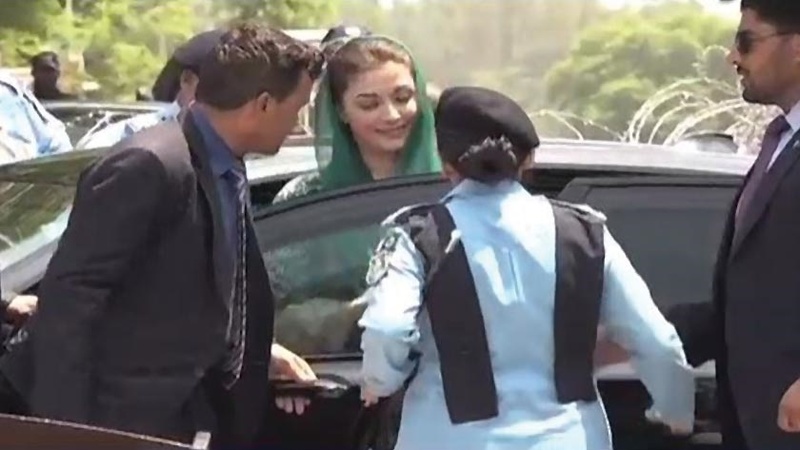 Besides buying Suzuki certified used cars; Pak Suzuki Suzuki Finance arrangement partner banks are also present at the venue to provide installment details to customers. Besides conventional auto financing; customer can also determine Islamic auto financing option from Islamic bank to finance certified used cars; there and then. Suzuki Insurance arrangement program companies also offer insurance coverage on-spot so that when you take your vehicle out of venue; you are already covered. Special premium rates are offered at the venue. Suzuki Genuine parts; Suzuki Genuine Oil and accessories are also available at special prices for customers. Test Drive events for new vehicles also available at the venue. We ensure that in every Gala event; customer’s comments are duly incorporated to make the future events even better. Pak Suzuki will be holding Gala events in 4 main cities; Karachi, Lahore, Rawalpindi, Islamabad and we assure you that the Benchmark of these events is YOUR TRUST and CONFIDENCE in SUZUKI BRAND. Thank You! Yeh wahi bakwas ha jo hakumat bhi karta rahti ha . Paid article likhwatae hua kutch creativity bhi hoti ha .aisae articles goodwill barhanae ki bjae ulta kam kar detae ha . My only concern is that if Shitzuki new cars cannot be defect free from factory how trained will their service personnel be? Any ways. Please highlight it as a paid article and FYI toyota is also running a TSure program. so why not discuss it here also, if it is in fact a scholarly article. Hahahahaha. What an article, just answer me one thing, since when did Pak Suzuki buy Pakwheels??? Suzuki Master Motors Lahore dealer offered me 420000 Pkr for it. Sold it myself to a car dealer in the same area for 450000 instead. Thanks for sharing this detailed article. Buying used vehicles isn't as easy as it sounds because of high scam rate. However, to avoid such experiences, it is better to read a complete guide about buying used vehicles. On the contrary, in the current economic situation of the country, it is very tough to buy both new and used cars. Prices can only decrease if we focus on the manufacturing of local vehicles.